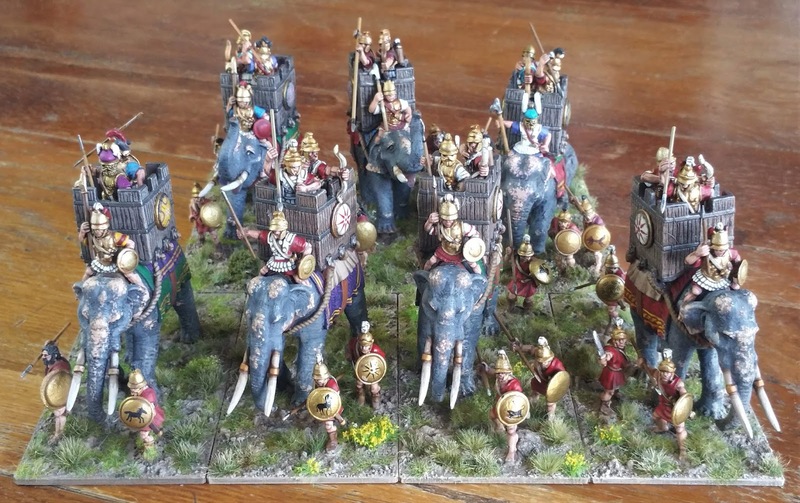 Today I've commissioned three more elephants into my Hellenistic army. These are beautiful Aventines (the old metal ones- the new resins are even better), painted by Shaun McTague with some detailing and basing by me. 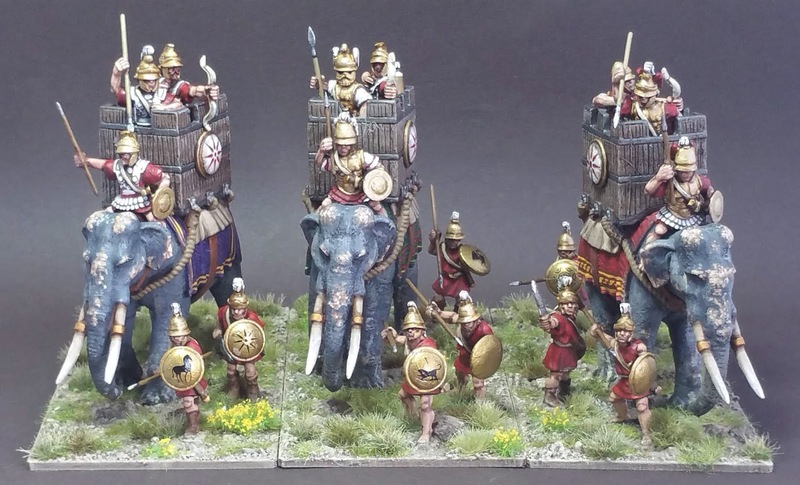 The elephant guards are Wargames Foundry peltasts; photo is clickable. Above and below are the seven Hellenistics. I was pleased that I was able to successfully match the basing of the four earlier elements. I like to depict the skin pigmentation failure that one sees on older Indian elephants. I now have the seven Hellenistic Indians, four Indian Indians, five Ptolemaic Africans and eight Numidian Africans, for a total herd of twenty four pachyderms. I plan to add at least a dozen more by Christmas. To fight all of the Hellenistic battles, one needs a surprising variety of elephants of different species, with/without howdahs and with different crews and heraldry. So rather more will be needed; I might well end up with 50-ish. Luckily for the joists, the new Aventines are resin!